Discover the special bond that we all share with this inspiring daily devotional magazine. This unique magazine explores the special bond we all share with animals. Find inspiration, peace and especially joy to meet each day within each issue of All God's Creatures. 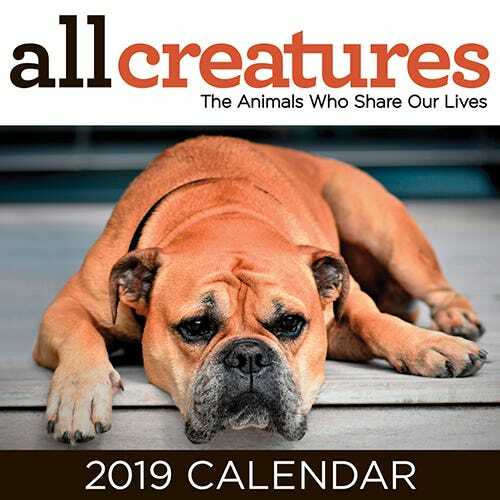 All God’s Creatures is a unique, devotional magazine filled with reflections and prayers that explore the special bond that we share with animals. All God’s Creatures will fill you with inspiration, peace and joy every day. Each issue of All God’s Creatures reaffirms the remarkable love the God has for all of us – our animal friends included. All God’s Creatures makes a great gift too! Young and old will enjoy sharing the daily devotions together. Thank You For Supporting Guideposts Outreach! As a special thank you for becoming a PLUS member, you will also receive two 36-page action booklets and an inspirational desk calendar to inspire and remind you of the power of faith in your life. *This preview requires Adobe Flash Player. Click here to download.